The BBC recently reported that Campaigners who petitioned against parents being fined for taking term-time holidays are claiming a victory after it was agreed a blanket ban breached regulations. The education minister has written to councils advising them head teachers should instead exercise discretion. Pupils are allowed to have up to 10 days away, but schools are judged on absenteeism rates. Campaign group Parents Want a Say said the advice was a “terrific result”. Nearly 2,000 people signed a petition after hundreds of parents were fined over term-time holidays. In his letter to councils on Wednesday, Huw Lewis said he was concerned some councils were advising “head teachers should not exercise their discretion and should instead refuse all requests for term-time absence as a matter of course”, regardless of the circumstances. “This is contrary to the regulations which allow a margin of discretion for the school in such matters so that each request can be considered fairly and on its merits,” the minister wrote. A BBC Wales Freedom of Information request in 2015 found wide variations in policy of imposing fines. While Cardiff council issued 370 penalty notices between January and May, 10 other councils did not issue any. After receiving the petition in December, petitions committee chairman, William Powell AM, wrote to Mr Lewis saying some parents may have been dealt with unfairly and unlawfully. He welcomed the minister’s response, saying some councils had been “engaging in a cynical game of ‘pass the parcel’ on this issue”. “It is clear that the minister’s intention, contrary to what applies in England, is for the discretion of individual head teachers to be respected,” Mr Powell said. Craig Langman, chairman of campaign group Parents Want a Say, said it was a “terrific result” for parents in Wales. “We hope this will encourage Westminster to reconsider its position on the policy in England,” he added. With 109,743 million nights booked on Camping-and-co.com, the online camping reservation specialist confirms its status as the preferred website for outdoor accommodation among French and European holidaymakers. The outdoor accommodation industry has generated more than 2 billion euros in France alone in 2014, and 6 billion euros in Europe in 2015. With a turnover of 8 million euros ​​in France last year, leading French campsite reservation expert, Camping-and-co, has performed strongly and is now the local market reference. Building on its success in France since 2012, Camping-and-co sets out to expand in Europe, starting with the following five markets: the United Kingdom, Netherlands, Germany, Spain and Italy. The company aims to achieve a 95% market share of camping customers in these regions and become the European leader in online camping reservation. According to a 2014 report on tourist accommodation in France published by INSEE (the French National Institute for Statistics and Economic Studies), the Dutch represent the largest portion of tourists in the market (thirteen million overnight stays), followed by the Germans (seven million overnight stays) and then the British (six million overnight stays) – affirming the burgeoning potential of these new target markets for Camping-and-co. With upcoming iconic events in France such as the Tour de France, UEFA EURO 2016, Bastille Day and so on, the company plans to target this group of European travellers through unforgettable outdoor vacation experiences. It has also developed one website per country and a 7-day call center operated by native speakers of each nationality to ensure quality service and attention. “We are rapidly cementing a solid presence in Europe, where we have identified unique opportunities in the outdoor accommodation market for British, Dutch and German travellers. With the new partnerships signed in France, Spain, Italy and Portugal, we see Camping-and-co’s vision slowly being realised. 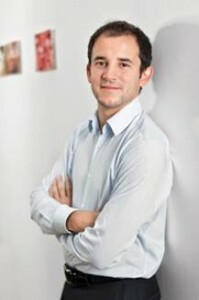 Moreover, our foray into these countries marks another milestone in our strategy to be a major player in Europe,” said Guillaume Patrizi, President and Founder, Camping-and-co.
Camping-and-co is, at its heart, a family business with a long heritage. Both son and grandson to camping property owners, Patrizi grew up in the world of outdoor accommodation while mastering the industry’s know-how. He noticed the changing aspirations of tourists where there is an increasing demand for outdoor accommodation, as it is perceived to be closer to nature and more affordable than hotel rooms. This is in stark contrast to the negative publicity received by campsites ten years ago, according to Patrizi. In the UK alone, camping and caravanning trips by British residents went up by 7% between January and August 2015, a reported increase from previous years, according to the Great Britain Tourism Survey. Following these observations along with the modernisation of the outdoor accommodation industry, Camping-and-co was conceived as an idea to partake in the development of this sector while meeting the needs of both campsite owners and holidaymakers. After over 18 months of development, Camping-and-co.com was founded in 2012. Today, it has six websites in different languages where users have a selection of over 1000 campsites located in France and Southern Europe (Italy, Spain and Portugal). From mobile homes and pitches to wooden cabins and teepees, Camping-and-co.com has a wide range of accommodation which will appeal to outdoor enthusiasts with different tastes and budgets.With an average annual growth rate of 100% between 2012 and 2015, and a turnover of 8M€ in France last year, Camping-and-co affirms its position as an expert in the online camping reservation industry. Since its inception, Camping-and-co has facilitated over 80,000 online reservations in total: 40,000 reservations in 2015, 21,000 in 2014 and 13,000 in 2013 – a clear indication of its continued growth. In addition, the company increased its number of partners by 30% each year, with a contract renewal of 98% (on average) of its existing partners. If you’re going on a winter skiing holiday this year don’t forget to pack your sunscreen! Although it might sound strange, your skin can burn in the snowy ski slopes, leaving you with embarrassing ‘panda eyes’ and a sore red face. The amount of UV rays that reach the earth’s surface increases by up to 5% for every 1,000 feet above sea level you are, plus both ice and water are very good reflectors of UV radiation. Re-apply sunscreen as frequently as you would in the summer time to all exposed areas of the skin. Don’t forget any exposed areas that we often miss when applying sunscreen such as the ears, lips and back of the neck. Stay moisturised. This won’t protect you from the sun, but winds and colder temperatures will strip the skin of its natural moisture, leaving it drier and more susceptible to cracking. The British Skin Foundation is the only UK charity dedicated to raising funds for skin disease and skin cancer research. There are eight million people living with a skin disease in the UK, some are manageable and others are severe enough to kill. Seven people die every day in the UK from skin cancer. It Takes 7 is a fundraising campaign set up to raise as much money as possible to fund research into skin cancer. Exceptional value skiing, excellent snow conditions and uncrowded pistes are offered by Ski Beat (www.skibeat.co.uk, 01273 855100) at the Chalet Papillon in La Rosiere, where the price of a week’s ski holiday on 16th January has been cut by £319pp to £390pp, saving 45% (was £709pp). The price includes return Gatwick flights, transfers, cooked breakfast, afternoon tea and three course evening meals with wine. Pack and go and save £290pp off a week’s ski holiday with fully catered accommodation at the Chalet Sorbier in La Plagne, including return Gatwick flights, transfers, cooked breakfast, afternoon tea and three course evening meals with wine. 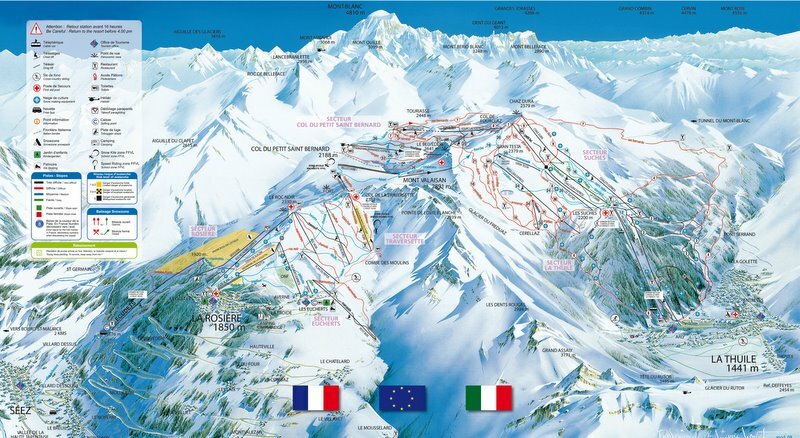 Top UK chalet operator Ski Beat (www.skibeat.co.uk, 01273 855100) have trimmed the price by 35% to just £539pp, was £829pp. 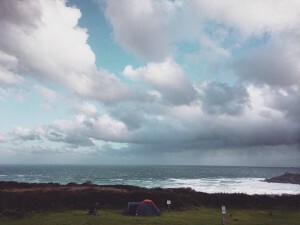 Last November, my friend Ollie and I decided it would be a good idea to go camping in Cornwall, the weather wasn’t too cold and we had already visited in late spring and late summer to experience some beautiful hot weather, so a bit of rain and wind wouldn’t be a disappointment. The drive down from the Midlands is fairly straightforward, M5 southbound all the way and many thousands of UK tourists take this journey regularly. The best idea is to start out early enough to avoid peak times or choose days where there aren’t holiday handovers like a Saturday. 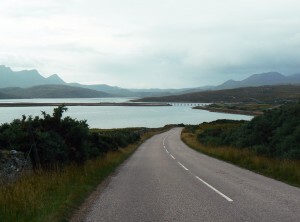 We made it in good time, with a stop off for a bite to eat and toilet break, it was heavy rain all the way down and we debated whether a camping holiday was such a great idea, there were gale force winds predicted for our second night – Ooh err! 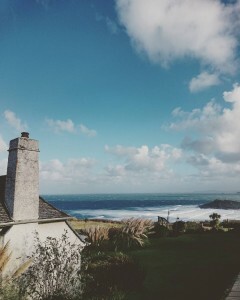 We stayed on the beautiful Ayr Campsite with stunning views overlooking the Atlantic and St Ives bay. We were officially the only people crazy enough to be camping during the bad weather (the words of the campsite manageress). So we set up camp, Ollie had a £40 tent as did I, although my tent was about 10 years old, so i wasn’t too confident on how it would cope with the predicted 60 mph gale force winds coming in off the Atlantic. Gulp! Ayr Campsite is superb, great facilities for touring caravans, motor-homes, static caravans and the campsite. We had the huge toilet and shower block virtually to ourselves with heated floors and nice hot showers all included in the cost. In summer the campsite can be up to £30 per night in peak season, but we paid just £12 each at this time of year. 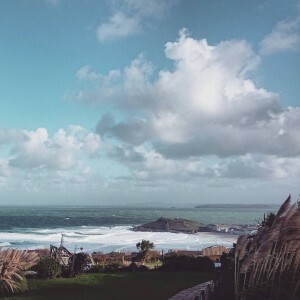 St Ives town is a piece of England from times go by, it remains a very popular tourist town with arty types and holiday makers, perfect for families with five beaches around the bay and also the extremely long Gwithian beach just a ten minute drive away. St Ives beaches are some of the best in the UK, with white sandy beaches, very clean, and pearlescent blue waters. You will find fishing boats, touring boats, dinghies, yachts, trawlermen, and not forgetting the essential Life Boat station. 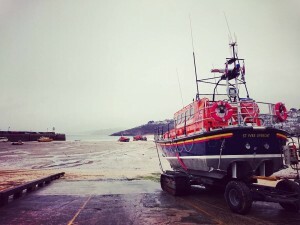 There is something for everyone in St Ives, from traditional mariners pubs to quaint little restaurants, fish and chips shops, art galleries (including a Tate gallery), picturesque beaches, and cafes tucked away down cobbled streets. You can see why it becomes so very packed during peak summer months. Even the September music festival brings in the crowds. Our stay was peaceful and relaxing as we had hoped, our first night camping was a little windy shall we say, but the second night was a near disaster. The gale force storm approached around midnight just as we had rolled in from the old Engine Inn pub inland. The beer perhaps numbed our senses to the terrifying noise of the wind howling and snapping at the tents, which we had now set up against the hedge to reduce the effects of the storm. I fell asleep the sound of Ollie laughing as the wind whipped around the campsite, I was awoken later with something hitting me in the head, I imagined it to be a seagull but who knows? The morning brought calm, and to my amazement we were still alive, albeit with all my guide ropes snapped apart from one, the wind must have been ferocious. In all, it was a brilliant little break, maybe I wouldn’t camp in 60mph winds again though, I’ll look into a Bed & Breakfast. 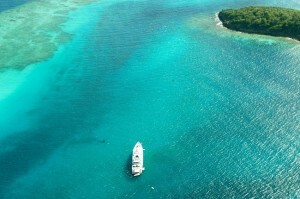 Erika’s Marine Services, a yacht agent and concierge in St. Vincent and the Grenadines, offers exclusive rental of Jamesby, an uninhabited island in the middle of the Tobago Cays Marine Park. Heather Grant, founder of Erika’s said, “Erika’s offers many concierge services, but one that is quite special, we think, is our ability to book an island exclusively for our yacht clients’ use. This sounds amazing, doesn’t it? And expensive. Heather told Yachting Pages that Erika’s has been booking this particular spot for several years, with great success and excellent reviews from their clients. 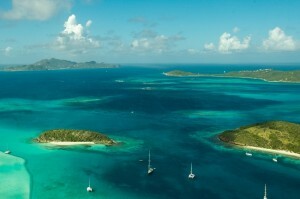 She explained, “Here’s the deal: The yacht sails to the Grenadines and the captain sells his guests on the idea of having an exclusive, remote private island to themselves for a day. Nobody else will be there. Guests can have all their water toys, barbecue, shade structures, furniture, lounge chairs, yummy local fish or lobster, and even live music, if they wish. As an established yacht concierge with existing relationships with many returning yacht crews and suppliers within the region, the team at Erika’s organises everything on behalf of yacht crews and their clients – all they have to do is ensure that the guests show up. Feeling stressed at work? Forget lounging on the beach, 75 per cent of Brits now say their key to stress release on holiday is getting active. And what better way than the fast paced thrill of skiing down the slopes or windsurfing in the sun? If you’re unsure whether skiing is for you, Neilson Active Holidays have launched a new 360° virtual reality app to give you an interactive taste of what it’s like to go skiing on one of their winter holidays or windsurfing at a Neilson Beachclub, letting you really ‘Have a Go Before you Go’. Brits are now more active than ever before, with new research showing that participation in sport has increased by 15 per cent over the last decade. And this doesn’t stop on holiday. The number of Britons planning fitness holidays has doubled in the last year, with people ditching “fly and flop” for something a bit more adventurous. Neilson’s app is sure to feed this appetite. Download the Have a go before you go app and go skiing on the beautiful slopes of Andorra or windsurf in a sunny Greek bay by moving your smartphone or tablet around at all angles, as if you were right there. Using Oculus Rift technology and state of the art video footage, the app allows your to enjoy a 360° experience, all from the comfort of your home. Europe’s next cheap holiday destination? 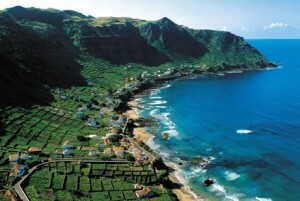 A new location has appeared on the flight routes of Europe’s budget airlines – the Azores. About 850 miles off the coast of Portugal, the islands in the Atlantic Ocean were once a stopping point for Concorde. 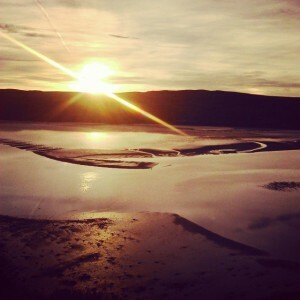 Travel writer Simon Calder asks whether they could become the next big holiday destination. When I touched down at Santa Maria, I was disappointed not to find a sign saying “Welcome to Concorde Island”. But I cheered up a few seconds later. In the middle of the pint-sized terminal, I found the Concorde Bar serving beer for barely £1 a pint – 1980s prices. In the 80s Concorde Island as I shall call it, was one of the elite locations served by the Anglo-French supersonic jet. As Venezuela grew fabulously rich on oil, Air France chose to connect Paris and Caracas at twice the speed of sound. The plane’s thirsty engines couldn’t make it all the way to South America on a single tank, and Santa Maria was the obvious pit stop: while this mid-Atlantic fragment of Portugal measures only 10 miles by six, with a population of less than 6,000, it boasts the ocean’s longest runway – courtesy of a now-abandoned American base. Thus the rich, powerful and glamorous were invited to stretch their legs and perhaps visit the Concorde Bar while their aircraft was refuelled ahead of blasting off to Caracas. Click here for the full article on the BBC. Sicily has some of Italy’s most magnificent natural parks. It is really a nature lovers paradise, whether you love volcanos, the sea, the mountains, the country or the forests, Sicily has something to satisfy you. 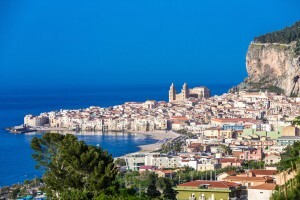 There are many websites online such as wishsicily.com that provides you a guide to Sicily, general information, and help you to find out the best cultural attractions and most interesting sites to visit. This way, it will be easier to organize your holiday in Sicily. Parco del Etna, or Etna Park, is famous for the active lava flows that are constantly changing the land. It is located on Europe’s largest volcano, Mount Etna, which continues to erupt several times per year. There is a unique plant universe that can survive on this strange but fertile volcanic soil. Among the ferns and the downy oak forests, you will find a vast array of plant and animal life that feeds and nourishes itself on the slopes of Mount Etna. You may have an encounter with a porcupine, dormouse, weasel, fox or wild cat, or perhaps all of the above! However, the true king of Etna Park is the majestic golden eagles. There are many other birds that live here as well. For example, the owl, peregrine falcon, sparrow hawk, wild dove and heron. One of the best parts about the park are the lovely wines that are grown on its slopes. One of the best ways to enjoy Etna Park is take a hike up to one of the cantinas that offers delicious wine cultivated on location paired with fantastic local delicacies. There is no better way to relax after a long day exploring craters and dodging lava flows. 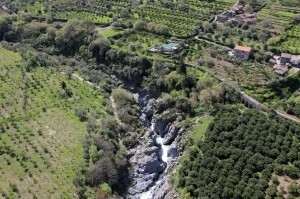 The park has a total of 58,095 protected hectares and is located in the province of Catania. When you go, make sure to check out the Bove Valley on the eastern side of Etna. It is a natural reservoir into which many of the lava flows have channelled over time. Check at parcoaventuraetna if you are looking for adventure and different green activities. The Parco Naturale dei Nebrodi was founded in 1993. It is home to the largest forest in Sicily, about 50,000 hectares of protected land. Some of the trees within the forest are the Fagus sylvatica, which is found in the southern part of the forest. The Quercus cerris and the Quercus suber grow throughout the whole park. Quercus ilex, Ilex aquifolium and Taxus baccata can be found in the more rocky areas of the park. There are lots of animal species that thrive in this park as well. Don’t forget about the traditional wheat bread, called durum, that is famous to this park and produced exclusively in the surrounding cities. This protected park is the one and only river park in Sicily, which consists of over 50 km of protected land. While this is one of the smaller natural parks, it does not lack in natural beauty. There are unique and unusual elements of nature here that are found nowhere else in the world. For example, the powerful geothermic movements that have sculpted the current basalts into their strange and fascinating current forms. In the prehistoric period, a river ran over these sediments of clay, which was followed by a period of volcanic eruptions. This led the riverbed to become a canal of liquid magma which then sunk into the cracks in the cray. Now, all that remains are the stunning and mysterious basaltic colonnades. The most beautiful of these natural statues is found near the town of Motta Camastra in the Larderia area.